A number of iPhone 7 and iPhone 7 Plus owners have issues with the handset's matte black finish, with some finding that the paint coating is prone to chip off. The complaints typically concern the anodized finish around the speakers, as well as around the physical buttons and at the corners, as first discovered by 9to5mac. 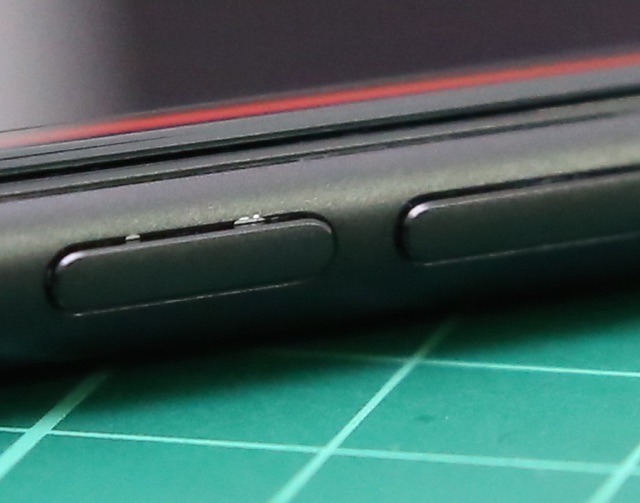 While the issues do typically appear on the iPhone's edges, typically where smartphones are likely to suffer damage compared to the flat sides, some users also note chipping issues on the back side, with more posts concerning the finish of the iPhone 7 Plus compared to the smaller iPhone 7. 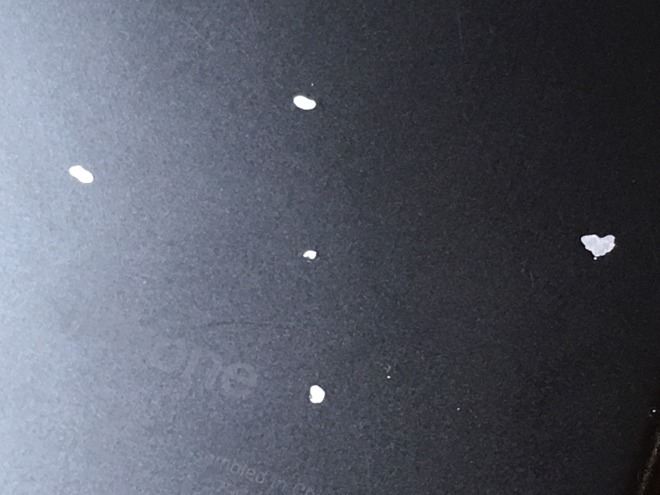 One thread, that has spanned to four pages, with some users showing the chipped areas of their iPhones in photographs. 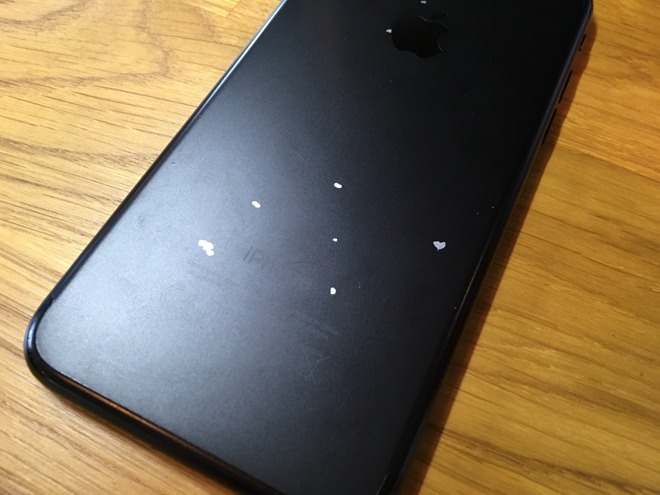 In some instances, the posters mention that they have kept the iPhone in a case, theoretically protecting it from major damage, but the chips still appeared. Apple's response to the complaints are considered unhelpful by posters, advising in some cases that it is classed as "cosmetic damage" that isn't typically covered under a warranty. In one post from earlier today, user "Phirsisch" claims the Apple Support helpline requested photographs of the case, to be forwarded on to Apple engineers for inspection. While a case would hide some of the chipped areas from view, some users have taken it upon themselves to temporarily fix the finish themselves, using acrylic paint on affected areas. Issues relating to the finish of iPhones have happened in the past. Shortly after the iPhone 5 was released, users complained that the black paint could be easily scuffed, with the problem briefly earning its own hashtag "#Scuffgate" on Twitter. The matte Black finish was introduced last September during the iPhone 7 launch, alongside a glossy Jet Black option. At the time, Apple warned those opting for the Jet Black finish that it was more prone to scuffing and scratching compared to others, but this notice seemingly didn't apply to the other finishes, including matte Black.